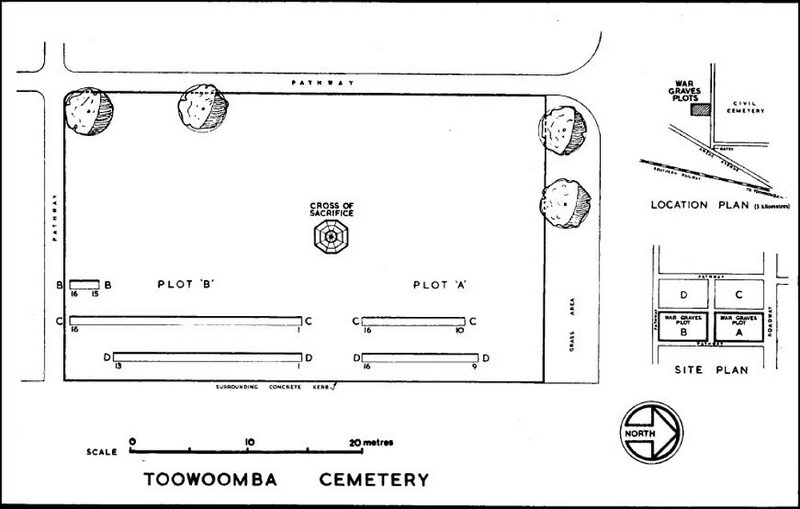 Toowoomba was the headquarters of the 1st Australian Army during WW2. It was conveniently placed for the establishment of the Army and Air Force camps and was often used as a re-training facility for Servicemen being sent to the Pacific Islands. 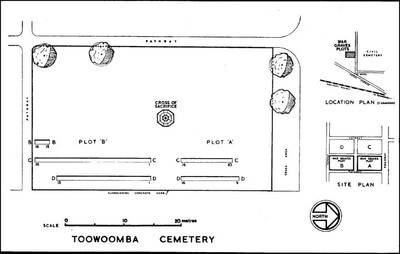 The war cemetery is situated within Toowoomba Cemetery on the corner of Anzac Avenue and South Street West. Centrally located among the 44 graves is a cross of Sacrifice. 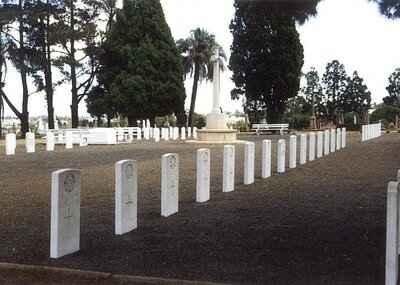 The burials are those of 34 soldiers, nine airmen and one post-war grave.